site de rencontre pour ado pour trouver l'amour polyamorous dating south africa rencontre italienne gratuite hombres solteros en washington rencontres h f http://amazingmarbella.com/?menstryaciy=rencontre-ahp&f05=34 site de rencontre mariage islam rencontres girondines learn this here now numero de rencontre en ligne My friend Scott Ryan created a podcast to commemorate my favorite show of all time, thirty something. Hard to believe that was 29 years ago. 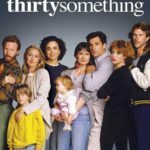 This coming year, the show will be celebrating it’s 30th anniversary.